I am always surprised at the experiences a person has with essential oils. With the ever-increasing use and availability of essential oils, it is amazing how little is known about them, especially how to use, store, and how long to keep them. We use them every day without knowing about it. They are found in teabags, hair care products, makeup perfumes, sprays and much more. Aromatic and essential oils are derived from shrubs, trees, flowers, woods, leaves, fruit, seeds, roots. In nature, essential oils are needed to repel herbivores, attract insects to help in pollination, avoid dehydration, and as well as being a bi-product of plant metabolism. Essential oils are volatile, which means they evaporate. Depending on how long they take to evaporate there are three groups of essential oils, called notes. Top notes last up to twenty minutes. When you are blending essential oils ideally you should use essential oils from all notes to create synergy and the blend will last longer. No matter how you blend your oils, when blending two or more together they are synergistic, so we don’t blend more than six oils, which would be the equivalent of twenty oils on the molecular level. 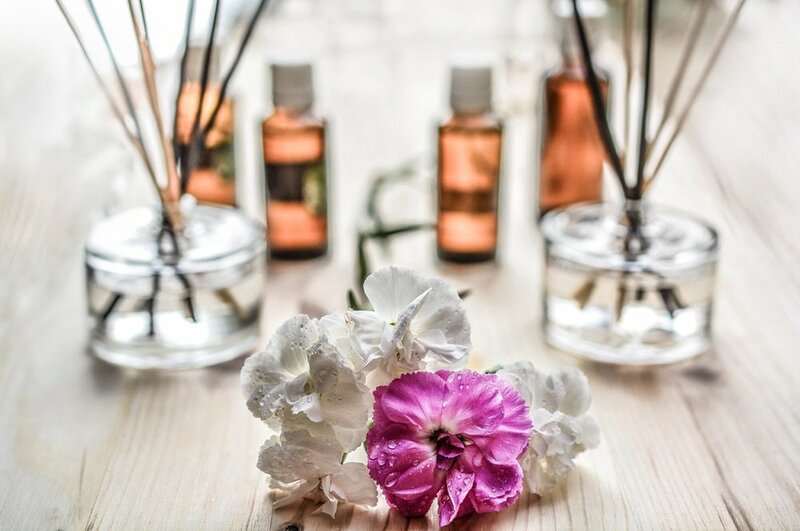 In Australia, the Perfumery Act (TPA) governs the use of essential oils that govern our emotions, such as sensuality and the Therapeutic Goods Act (TGA) only registers oils that have therapeutic qualities. One way you can tell if an oil is not therapeutic is by its label, or rather what is not on the label. A therapeutic oil will have the botanical name, and if it has officinalis in the name, it is an indication that the oil has been scientifically proven to be effective. Therapeutic oils are called essential oils, and non-therapeutic oils are aromatic oils, but don’t let this be your only guiding factor, as many are mislabelled. Both aromatic and essential oils will have a use by date. After their use by date they have strong acidic qualities to them, which may be harmful to your health is are not therapeutically or topically used. Don’t worry if your collection of essential oils is out of date, you can always put a few drops down the sink to make your drains smell beautiful.